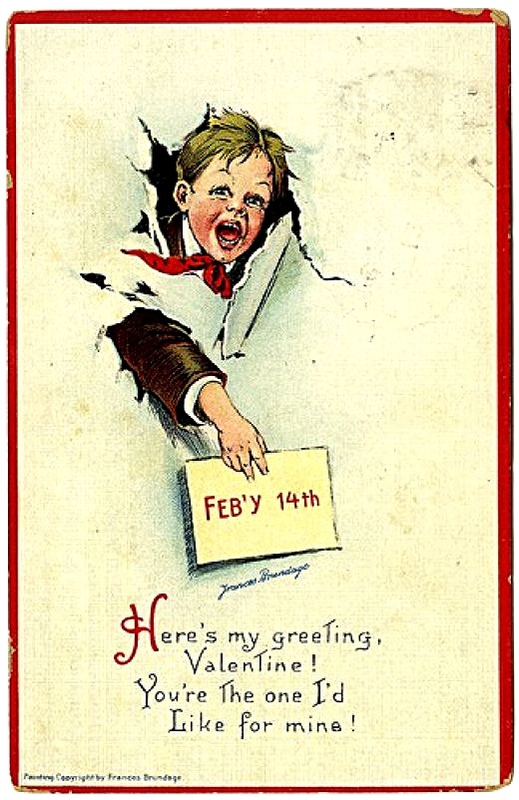 celebrating the holiday of love. 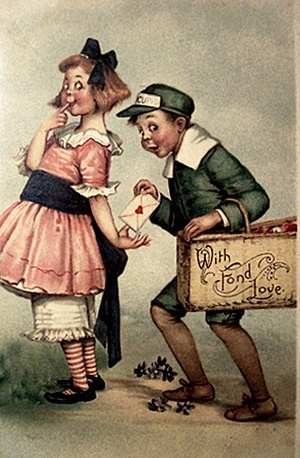 designing holiday cards in the 1880’s. and her work was extremely popular. in paper dolls, calendars, Christmas cards etc. considered to be especially collectible. syndicated newspapers around the United States. very popular exceptions, like this one. 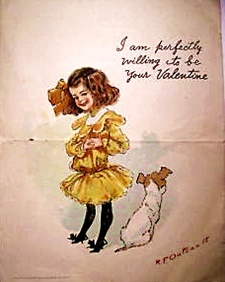 or woman who received such a Valentine. 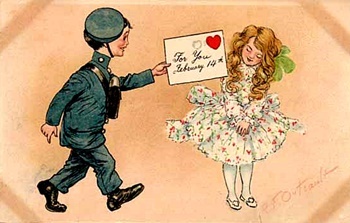 the history of postcard art. on the creator is sketchy at best. 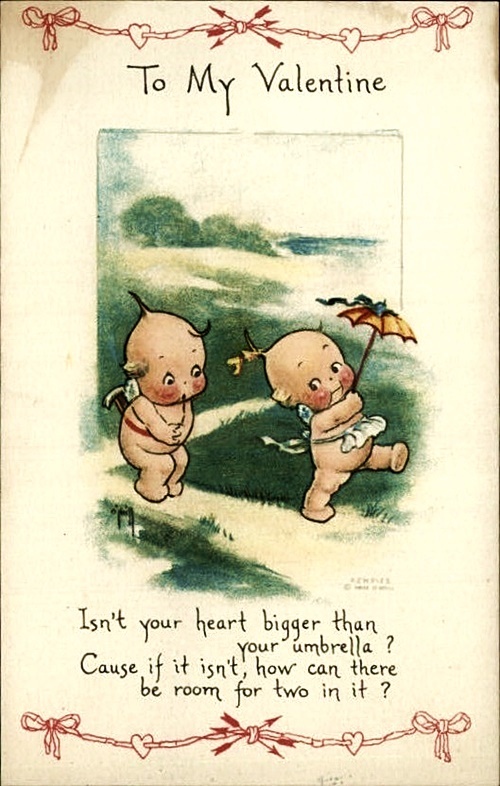 not unlike fairies, called ‘Kewpies’. all used the ‘Kewpie’ style. 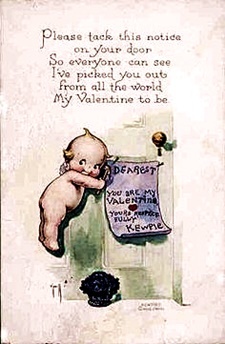 This entry was posted in Art, Collectibles, Entertainment, History, Holidays and Events, Love and Relationships, Postcards, Uncategorized, Vintage and tagged antique, art, artists, card, Holiday, Valentines Day, vintage, vintage valentines day card. Kewpie mayo? That really is a long trip! It’s Japanese Mayo — a little tarter than American mayo. Beautiful, sweet, fun post, C! The size of the card is more like 4″ by 5″ … it’s small. Not surprising- a lot of cards of that era were very small ! 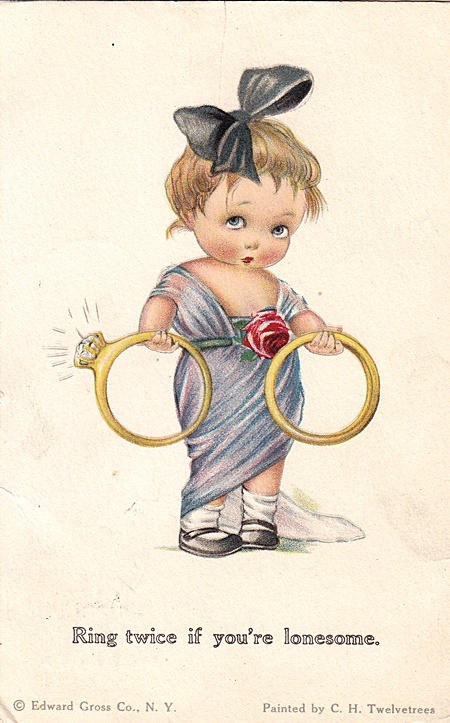 Once I figure out how …I found some old cards from my MIL (she should rest)… I think one was a valentine, nope…holiday and birthday. Unfortunately the backs are glued to the page in the small album. 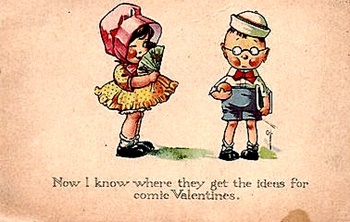 But the one had some flip up pieces and a ribbon. Another card had several pages…So I’m thinking it had to be ‘expensive’ at the time. One actually fell off semi-clean but only has WHY (I think- not sure of the last letter) P-1530G (not sure of the 30 part still a bit covered by black paper and glue) and USA on it. The markings is on the lower right hand corner. That card is only about 5″ by 6″ in size. Jules: That sounds very interesting !!!!!!! !